lt;stronggt;RCPQ853WHIlt;/stronggt;lt;BR/gt;RUBBERMAID COMMERCIAL PROD. HYGEN Quick-Connect Microfiber Dusting Wand Sleevelt;BR/gt;High-pile microfiber sleeve attracts and traps cobwebs, dust and grime. Slip-on design simplifies wand attachment. Durable fibers stand up to normal wear and tear as well as repeated launderings. May be used damp or dry. Bristle Material: Microfiber.lt;BR/gt;lt;BR/gt;lt;stronggt;PAG82027lt;/stronggt;lt;BR/gt;RUBBERMAID COMMERCIAL PROD. 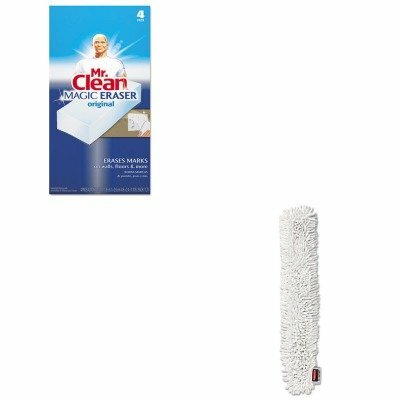 HYGEN Quick-Connect Microfiber Dusting Wand Sleevelt;BR/gt;Disposable, soft pads erase set-in dirt and grime quickly and easily. They remove scuff marks, dirt and tough crayon marks from floors, walls and doors. Safe to use no gloves or chemicals necessary. Application: Doors Floors Walls.